Which Operación Triunfo contestant should represent Spain at Eurovision? It happened: Spain’s broadcaster RTVE will pick their Eurovision 2018 entrant amongst the Operación Triunfo 2017 contestants, and we’re overexcited about it. We would pick them all right now and take the whole lot to the Lisbon stage. Unfortunately, there are 16 of them so we can’t do it. While 16 singers are taking part, only a maximum of six can go to Lisbon. We don’t know yet whether only one of them will go to Lisbon, or if there will be duets or even a supergroup. Over the weeks, we’ve given you some ideas. Will it be Amaia‘s charm and her sweet voice? She’s been the audience’s favourite for three weeks now and she’s even turned into a viral phenomenon. Or could it be Alfred? He’s the artsy guy, he’s a musician turned singer and he even sang “Amar pelos dois”! Maybe you’re a fan of Aitana? She’s consistently amongst the favourites and it’s totally deserved. There’s also Nerea, with whom you’ll fall in love if you like Disney songs. Or should it be one of the Galicians — Miriam, Roi or Cepeda — to travel to nearby Portugal? In case you were wondering, no, Agoney‘s voice meanwhile has nothing to do with agony, despite his name. Neither does Ana Guerra, who has been constantly growing with each show. And what about a more flamenco feel, like Mireya‘s? Don’t forget about Raoul, who killed it last week with Lady Gaga’s “Million reasons”. There are five alumns eliminated from the show so far, but they may still be eligible. Mimi and Ricky slayed the pack the week they left, while Marina‘s voice is to fall in love with. Thalía and Juan Antonio also gave their all in their last week, so they also deserve a chance! Now, stop the chatter, and bring on the poll. Who do you want in Eurovision? You can vote for as many of them as you can, but you can do it only once! Which Operación Triunfo contestant should sing at Eurovision 2018? Who should represent Spain at Eurovision? Who is your favourite? Which contestants would make a good supergroup? Would you pick a duo? Tell us in the comment section below! VOTE IN OUR POLLS HERE! Hoping for Amaia. Great voice and attitude. I hope they do what they did with Rosa in 2002 and have the other finalists join as backing singers, which I thought was kind of a sweet touch and got them to Eurovision in some way, shape, or form. There are like 9 of them who could easily make a great performance on ESC. I’m so happy this year! 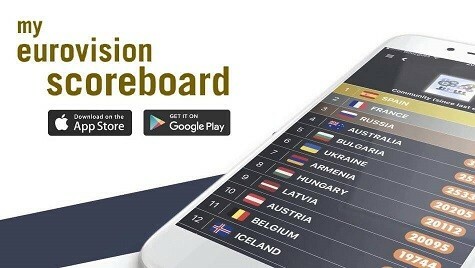 What’s then your top 16 to represent (your country?) Spain? Thanks for the comment, I like it! Alfred is the best male performer there. Easily. So is Amaia on the female side. Yes, we also love them because of their story and personality. But music comes first. OT is like Esc: you need appeal, connection, charisma and likeability as an artist. An artist has to make you feel something. That’s why people here love Aitana, Alfred and Amaia. I don’t think any of them are the best performers. By no means. It is not that I don’t like them. But I believe Aitana (in her own gender), Raoul and Agoney are by far the best. But the two guys are so gay-ish that might have troubles to obtain their ticket. Are we speaking of last week Alfred and this week Alfred who forgot the lyrics? On the meanwhile Mireya, who according to the jury made a correct performance (which includes remembering the lyrics), was nominated. By no means must mean according to you (which is fine). I think Aitana is really really good. Raoul is a good performer yes. Agoney almost always leave you cold. And I’d say diva rather than gay.. and yes that’s not very appealing. Alfred did not forget the lyrics, he needed to stop.. and he did it wisely. Funny cause many people didn’t even realise about it. If you use this argument, then we should talk about Raoul as well xD. Mireya was fine and that’s it. You need something else at this stage.